September is Factory Foundation Awareness Month. Add your $99 Charity H.O.P. (Helping Others Play) donation when you register for any National Tryout, College PREP or Interactive Video Program or visiting our Factory Foundation Page. Charity hop: adj: that nice, big bouncing ground ball which is easy to catch. Sometimes in life, the ball comes right to you, almost as if someone intended it to be as easy as possible to make a play. The Factory Foundation has created the “Charity H.O.P.” program to make it easy for you to donate and help change a child’s life today. Charity H.O.P stands for “Helping Others Play”. 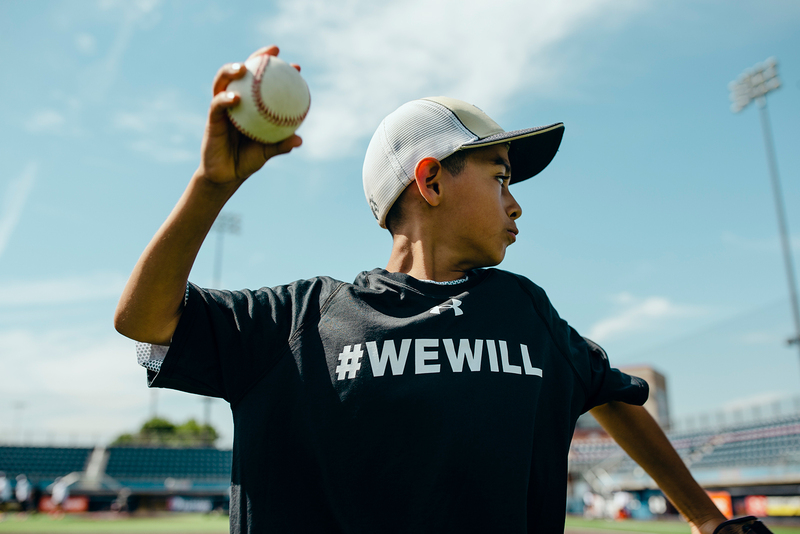 That’s what we do at the Factory Foundation – provide funding for as many under privileged/at-risk youth athletes on the field as possible no matter their location, family circumstance, or ability to pay. And we need your help. Why? Because not every child with talent has the opportunity to participate in the life-changing programs we offer through Factory Athletics. This is your chance to make a tremendous impact in the life of a child just like your own. Sports are an outlet for many under privileged youths; a way to escape their sometimes difficult situations, and open their eyes to the possibilities of further education, travel or even the chance to play their sport at the next level. Our Foundation helps hundreds of kids each year, thanks to generous donors like you. Please visit factoryfoundation.org/donate to donate $99 and help change a child’s life. What will you get in return? A warm, fuzzy feeling knowing that you helped another child, and an exclusive Charity H.O.P. water bottle to take with you to watch your son or daughter’s next game. To learn more about the Factory Foundation, please visit factoryfoundation.org. Factory Foundation is a 501(c)(3) non-profit organization.